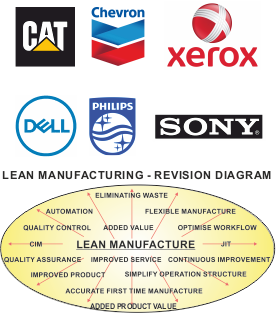 Lean manufacture is often regarded as being pioneered by Japanese companies, such as Toyota in the 1990s. It has also been developed by US companies such as Dell and Xerox. This system or philosophy, is now being used around the world. 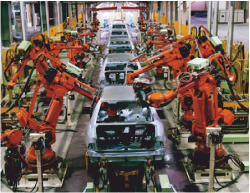 Lean Manufacturing is a set of principles, aimed at reducing the cost of manufacture, scaling down or eliminating waste and improving levels of productivity, with the final product continually improving. It involves full commitment by everyone in a company / organisation. It is a system or philosophy that is utilised by manufacturing industry, retail businesses, distribution and a range of other business types. A combination of different production systems and industrial principles. Including: just in time, continuous improvement, accurate first time manufacture, flexible manufacturing, automation (CIM), quality control and quality assurance. 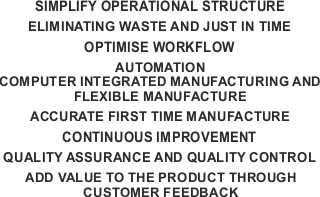 Optimisation of the flow of work, simplifying the company operational structure and reducing waste at every stage, are also core principles.